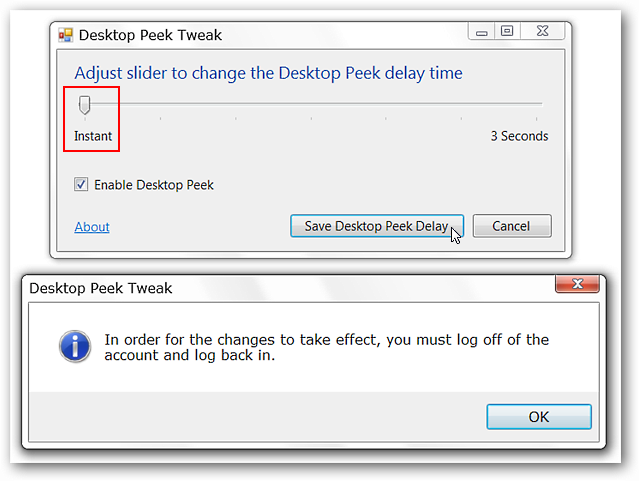 Are you looking for an easy way to modify the “delay time” for Aero Peek in Windows 7 or perhaps want to disable the feature altogether? 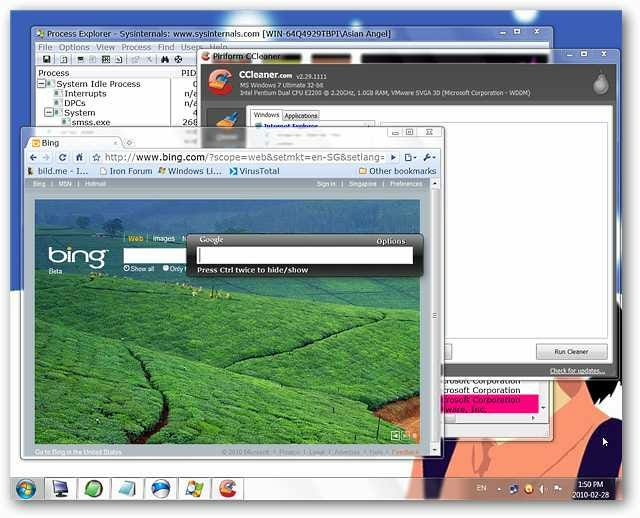 Then see how simple it is to do either with the Desktop Peek Tweak. 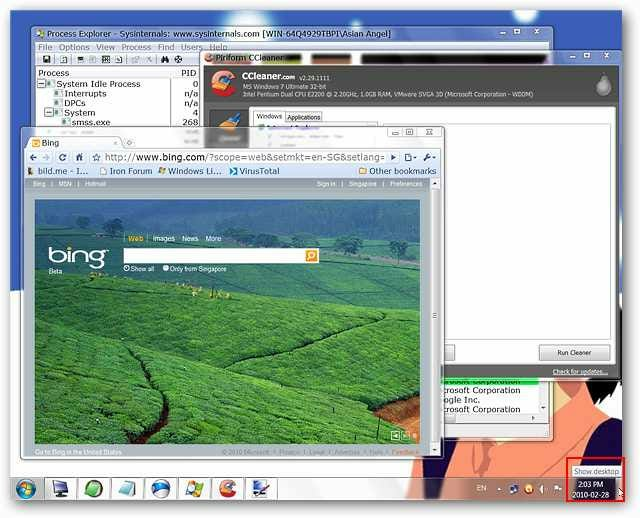 The “Aero Peek” feature in Windows 7 is really convenient for viewing your “Desktop” if you have a screen full of apps. The default time delay for “Aero Peek” is not bad but perhaps you want it to be quicker or slower based on your personal preferences. When you start the app for the first time this is where the default setting is located at on the “Time Delay Scale”. From here you can make the “Delay Time” shorter, longer, or disable “Aero Peek” altogether. For our first test we decided to disable “Aero Peek”. 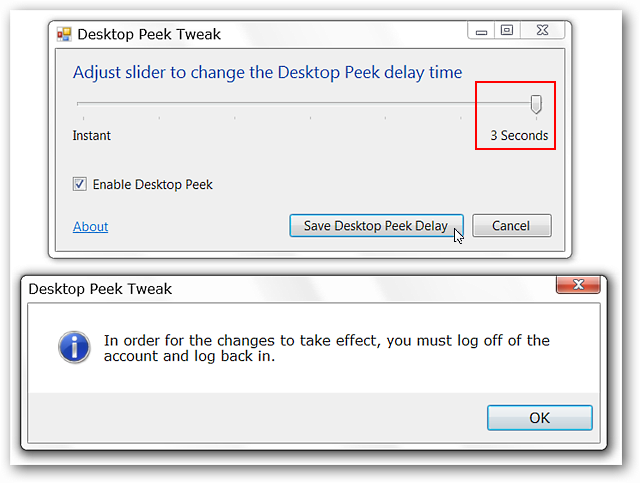 Once you make a change and click on “Save Desktop Peek Delay” you will be prompted to log off and then log back in to complete the changes. As you can see in the lower right corner we held our mouse over the “Show Desktop Button” but all the windows remained unchanged. Note: You will still be able to view the “Desktop” when manually clicking on the “Show Desktop Button”. For our next test we maxed out the “Delay Time” and went through the log off/log in process. Needless to say there was a very noticeable (longer) difference in the time it took to see the desktop. For the final test we set the “Delay Time” for “Instant” and after logging back in this was our favorite setting by far. 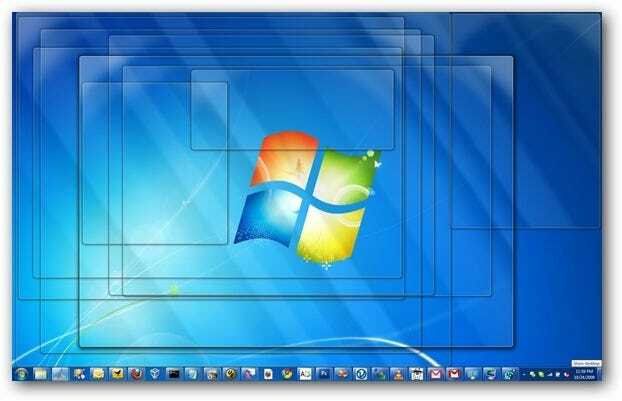 The desktop became visible very quickly. 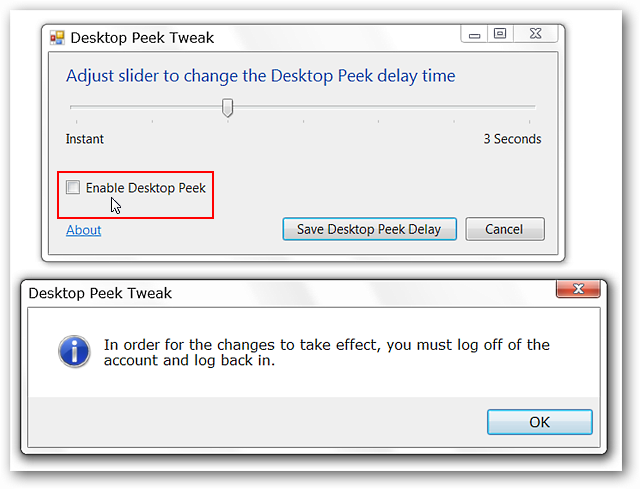 Desktop Peek Tweak provides an easy “no fuss” way to change the delay time for Aero Peek or disable it altogether if desired. 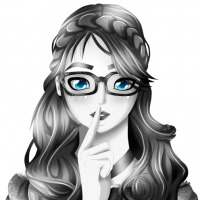 If you prefer to use Windows 7 settings to disable Aero Peek or would like to manually adjust the Aero Peek delay time using a registry hack then check out our article with details on doing both.